I love dog books, but I admit some are better than others. 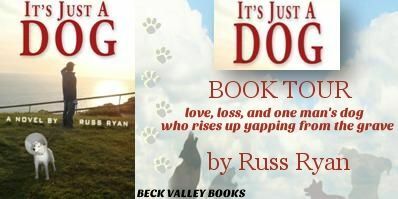 Russ Ryan's It's Just a Dog is one of those. The thing is I wasn't expecting it to be. Before I turned on my Kindle and began the first page, I had pretty low expectations. You see I knew nothing about the book or its author other than the fact that it was a novel about not only a talking dog, but a talking ghost dog! I seldom turn down a dog book, that's why I'm reviewing them here on the blog, but my taste typically gravitates toward memoir not gimmicky or cutesy talking dog stories. Ryan's book is neither of these. It is at once heartfelt and hilarious! And, cleverly engaging. I fell in love with the voice of his protagonist dog painter Charlie Keefe from the get-go and would have continued to the end just to listen to him tell his story, but there is more to this book than a charming style and amiable narrator. The plot may be a wee bit light and episodic, but this book has heart and like all the best comedy, a bit of soul as well. Any dog lover will identify with the emotions of Charlie, who loses and grieves for his dog Petey (who must be put down while he is away on vacation) until said dog reappears as a ghost. Charlie welcomes him back with open arms as any dog owner would. 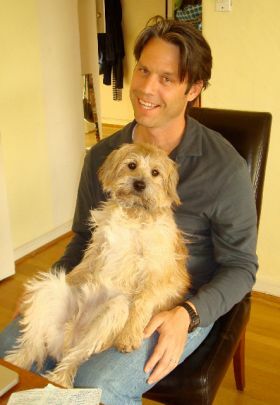 Ryan, who admits in the acknowledgments to having had a Petey of his own, manages to deal with grief and the loss of a beloved pet without getting schmaltzy, in a way that is both fresh and fun. The actual plot is secondary and maybe a little light for some readers, but as an artist myself I had to admit I identified and enjoyed Charlie's career challenges. I also thought his romantic entanglement to ring true, but what delighted me the most were the emotions familiar to all dog owners that managed to make me both smile and empathize with Charlie's plight. 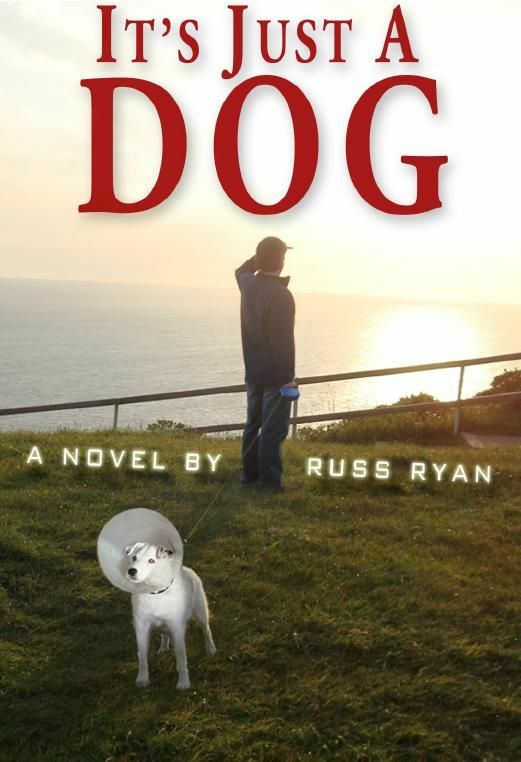 Ryan may have entitled his book "It's Just a Dog," but this novel is anything but your typical dog story. It's a fast and fun read with hidden depths. Friday 19th July - SIGNED BOOK GIVEAWAY !! 3 WINNERS ! !